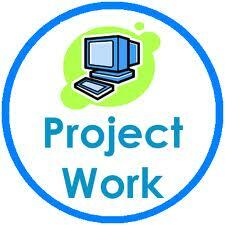 I am very happy to say that many of you have started to do project and some of you have tried to best their project. I appreciate your effort to make your project better. Apart from this many of you come to know how to use blog and comment on it. I will welcome your suggestion to make it (blog) more informative. Now, it is a time to submit your project. SUBMISSION DATE & DAY: 12thSeptember, 2013.- Thursday. 1. You need to submit project in hardcopy as well as soft copy. 3. I will collect your hardcopy only on 12/09/2013- Thursday. Respective class councilor will collect the project and submit to me at the end of lecture. Its duty of teacher to give best to the students. Good but you can improve!!! M'am, Thank you. We will try to give our best to this project. M'am thanks for your appreciation for us, we try to give our project best. Ma'am i have helped many students in making their questionnaire and my intellectual power has increased a lot and this thing is helping me in making statistics project too. It is always good to help other, when we are able to do. I have helped many classmates to prepare their project questionnaire and it helps me to increase my logical intelligence. Help others as many as you can. Ma'am i love economics and i got the topic which is related to economics and enjoyed making the project.And had fun with my friends while making questions on "POPULATION". Be careful for punctuation and capital letter. Economic is my lovable and interesting subject. 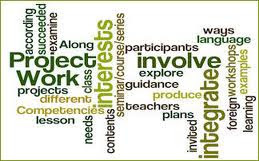 And the topic allotted to me for project is also related to Economics that gives learning and fun experience. Mam our project is ready and we will submit it soon. Thank you m'am for this practical work nd honestly speaking me and my group member gave our best in doing this task..
You posted at wrong address. Thank you, M'am, For this practical project work and honestly speaking my group members are equally involved. Really, it is team work. M'am our project submitted at 11th septmber . r u show? plz reply me bcoz in my a/c is error sent mail .